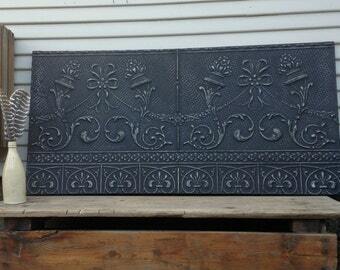 Large Antique Ceiling Tin Panel 2'x4'. Vintage Oklahoma Architectural salvage. Tin Tile. Old Distressed Black metal Wall art.